Mr. Peabody and Sherman Giveaway! 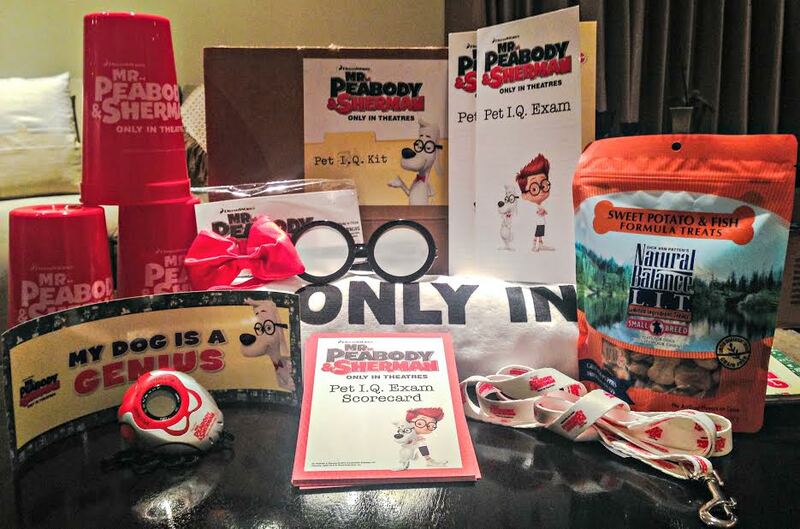 With Mr. Peabody & Sherman opening March 7th, we are giving away movie themed prizes! Three readers can win a set of Mr. Peabody themed glasses and bow tie. Perfect for you or your pet! 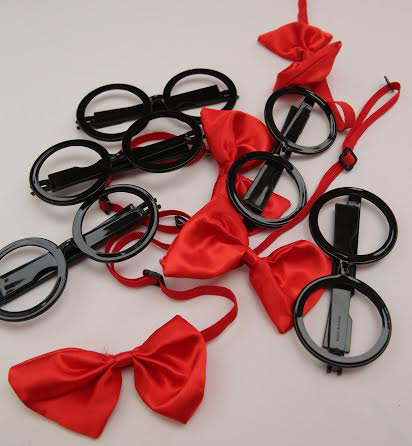 The set includes one plastic pair of Mr. Peabody glasses and one red fabric bow tie. The amount in the picture is not related to the number I have to give away. How cute is that? Fun for you and your pet, whether you wear them or not! A perfect, and adorable, photo op. Two lucky readers can win a Dog IQ kit. Have you ever wondered just how smart your dog is? 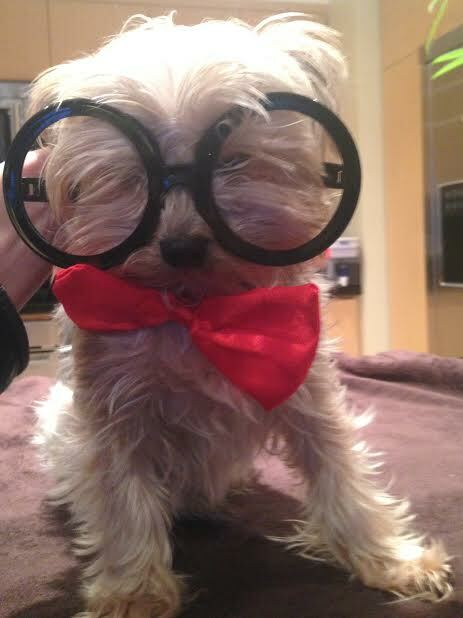 Think he could be more intelligent than Mr. Peabody? The Dog IQ kit includes Mr. Peabody themed instructions, score cards, stop watch, cups, leash, bath size towel, Natural Balance treats, My Dog is a Genius bumper sticker, and a set of the glasses and bow tie. I always wondered how smart my dog was, I think he knew more than he let on. The items that went missing around the house seemed proof of that. This giveaway is only open to those who live in the continental United States, and starts when I post this today at 9 pm est (February 21). You can enter your information until March 6th at 9pm est, when the giveaway entry period will close. All you need to do is enter your info into the form below and five winners will be randomly chosen from all the names entered on the 6th. We will contact you then by email to let you know you won and get your shipping information. It is that easy! Thank you to everyone who entered, the giveaway period is over. I will contact the winners via email to get your mailing address. Note: None of this information will be saved after the giveaway or used for any other purpose than to contact you about being chosen for a prize.